But Adele said although she was proud of being chosen to do the theme for the movie, she has something new she is even more excited about. The 24-year-old is expecting her first child this Fall with her boyfriend Simon Konecki and she is absolutely thrilled. Adele is totally laying low, nesting and preparing for the birth of her baby. Adele is very private about her personal life and even kept her pregnancy under wraps until she was six months gone. Meanwhile Adele won Song of the Year at BMI Awards for her song Rolling In The Deep. Adele also won two other prizes from her hits Someone Like You and Set Fire to the Rain for being among the most-played pop songs last year. 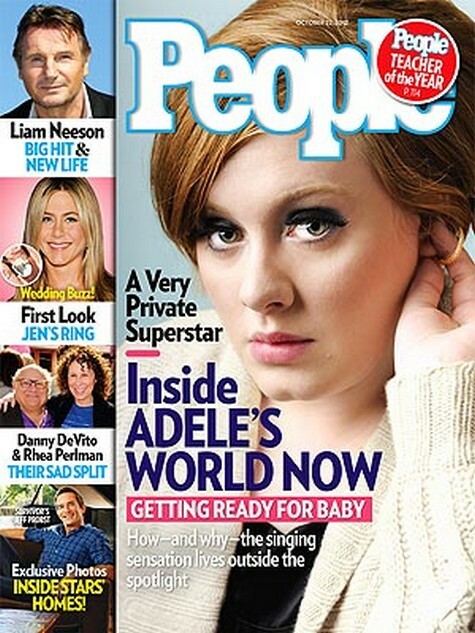 To find out more about Adele’s private world, pick up the current issue of People Magazine, on stands Friday!